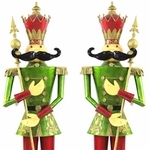 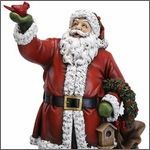 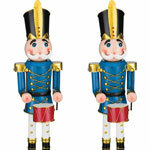 Always in traditional attire, beloved Christmas Nutcracker Statues & Toy Soldiers will march cheer directly into your home and holiday garden! 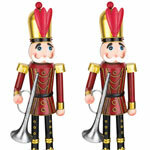 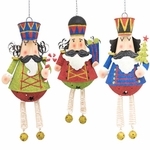 Place a Nutcracker on each side of any entrance to create a wondrous entrance of spirit! 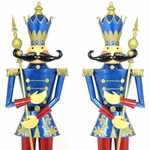 70" Blue Christmas Nutcracker w/Drum "Marloni"
70" Red Christmas Nutcracker w/Staff "Nicholas"
59" Blue Iron Christmas Nutcracker w/Trumpet "Harold"
60" Red Iron Christmas Nutcracker w/Baton "Henry"
60" Forest Green Iron Christmas Nutcracker w/Drum "Leo"